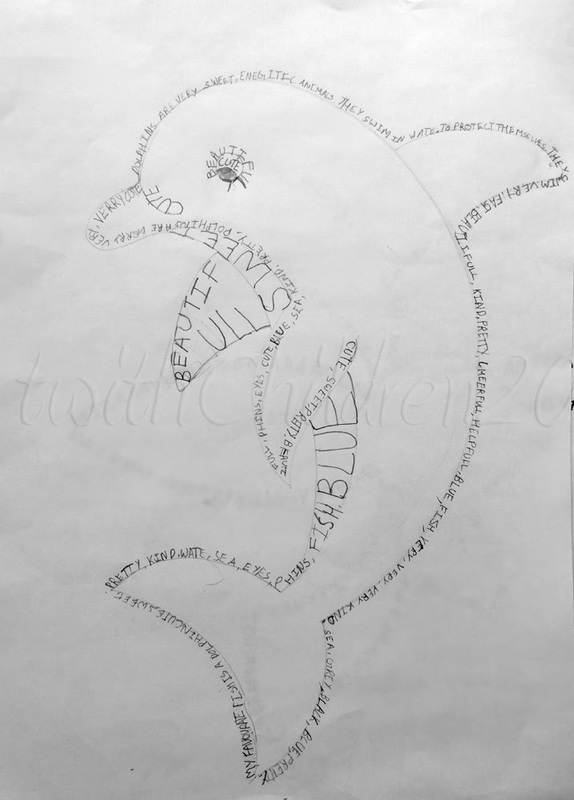 Ananya uses words that can describe her dolphin the best! 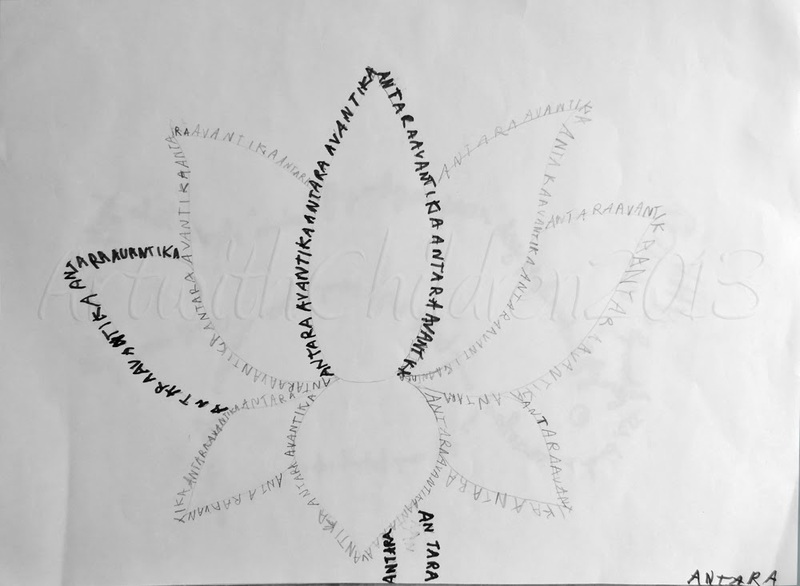 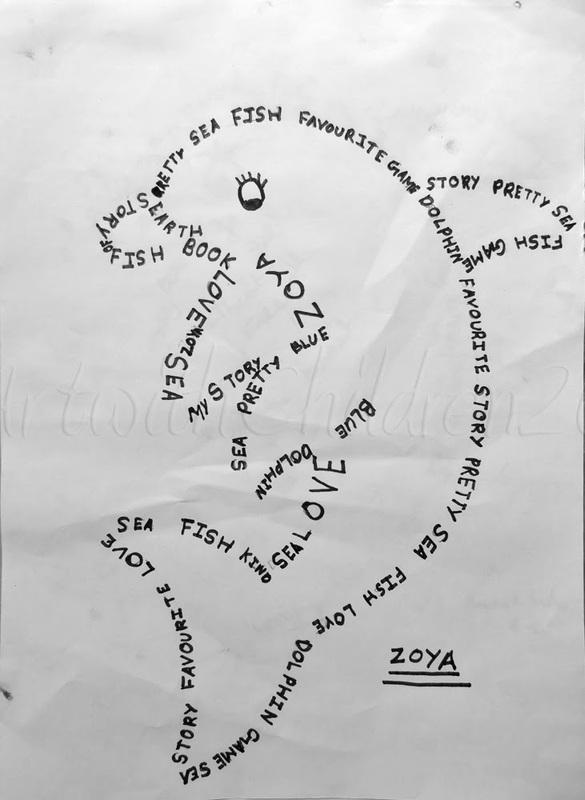 Antara, 7year old, decides to use her name instead! 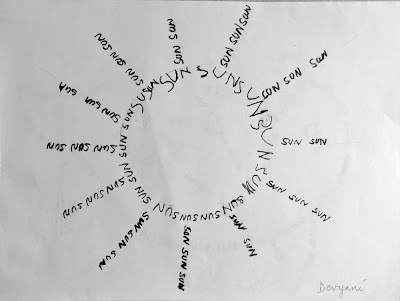 Devyani can spell the word 'sun' :). 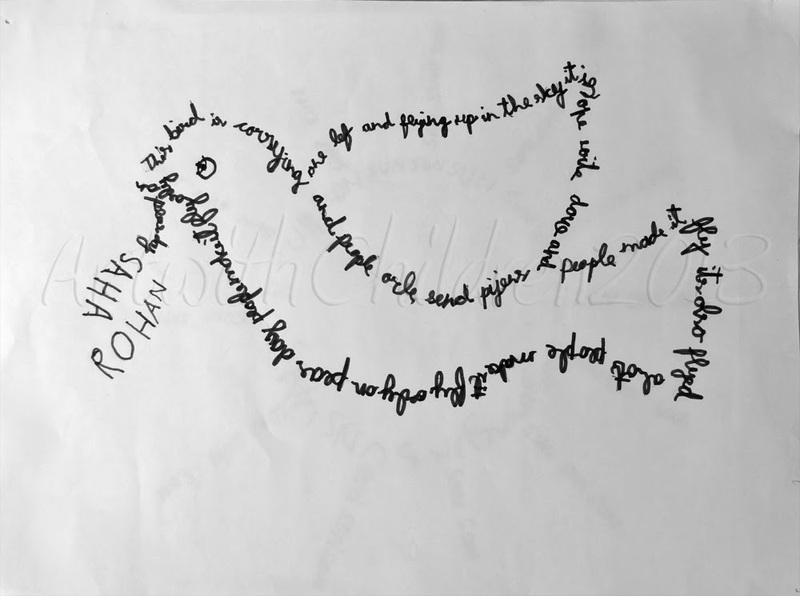 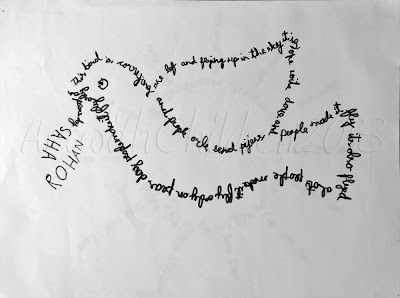 Rohan has done a great job for a seven year old! 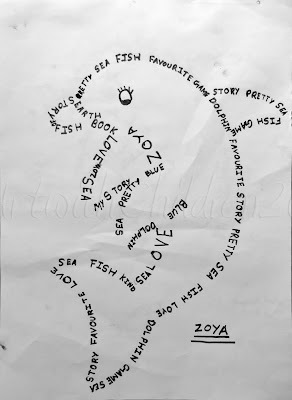 Zoya is seven too and her text looks really neat!